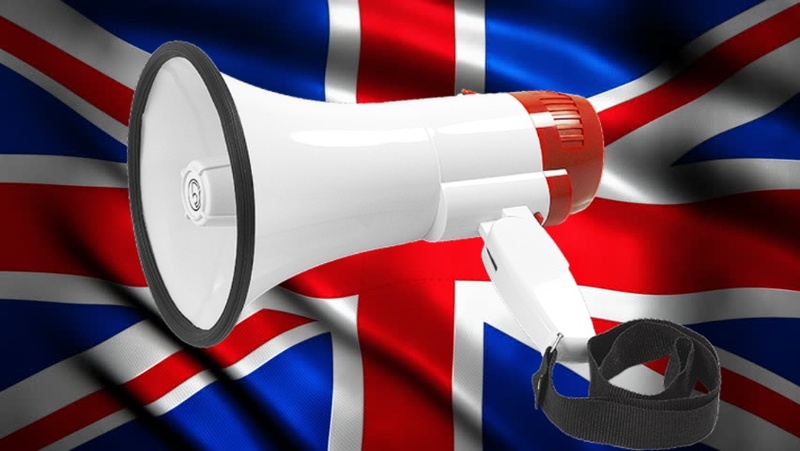 Have your voice heard with the Bassface Brexit Megaphone, vote to stay in the UK with our UK Brexit Megaphone. Bassface is known for producing great quality electronics at amazing prices. Our range of Handy Megaphones offers users a battery powered solution with 10 second voice record function and fantastic output. The MP1.1 offers Voice Range of 0.4km which is very impressive for power generated from 4 x D Type batteries and is perfect for sports days, field publicity and noisy environment use. Be cautious about competing products offering enormous "too good to be true" wattages - a megaphone powered by some small batteries is NOT going to be able to achieve crazy output in terms of "watts" - what matters is intelligent, efficient circuit design and a sensitive driver. We have engineered our megaphones to extract the most power possible out of the batteries whilst still allowing a generous 8 hour battery life span.